Buy 1 Get 50% OFF! Get Beautiful White Germ Free Teeth and Great Smile. Nowadays, food has many factors that make your teeth weak and not bright even though you have tried all means. So what is the solution for that? You can’t stop eating, can’t change your teeth! Don’t worry, with our teeth cleaning & whitening device you will get the healthiest & brightest smile ever! 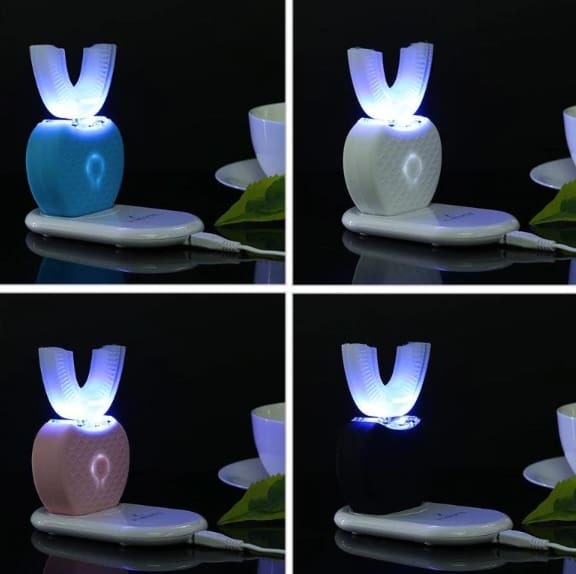 Creative U shape toothbrush head can completely fit your teeth and oral cavity for cleaning your teeth more thoroughly. The 360° auto clean: The 360° auto clean technique will remove all kinds of contamination completely. 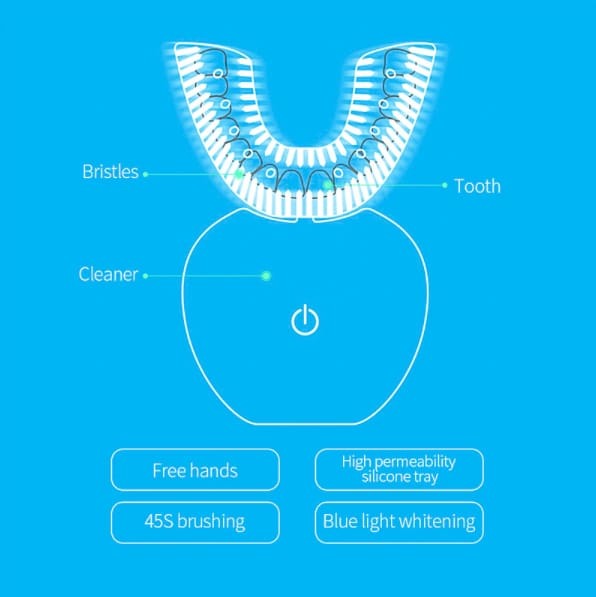 Fully automatic electric toothbrush lets you enjoy a new and effective cleaning way. 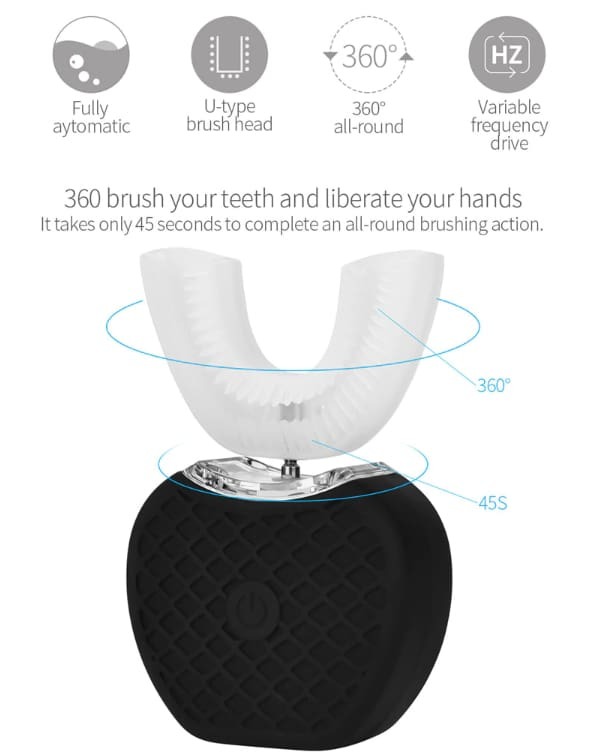 Combined ultrasonic wave technology, it can removes more tooth stain, plaque, bacteria in short time. Offering you with healthier and whitener teeth. 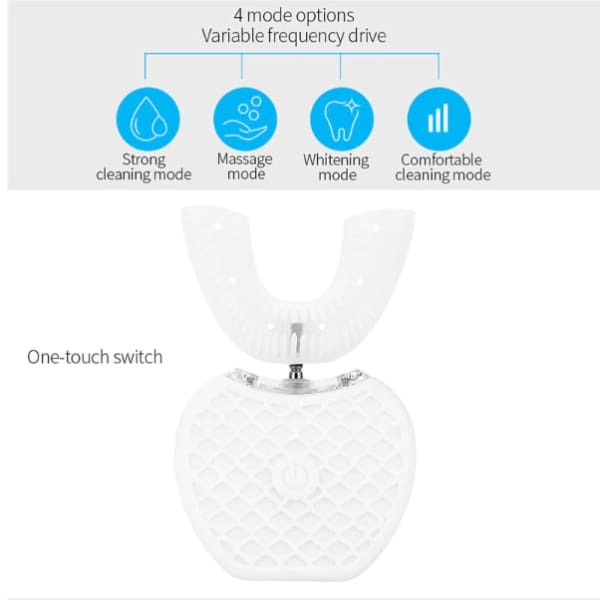 Customized four different working modes: strong tooth brushing mode, comfortable tooth brush mode, high-frequency massage mode and teeth whitening mode. You can adjust it by simply press the power switch. It will perform better than comparable electric brushes. In addition,the antibacterial effect helps to recover a healthy oral flora. 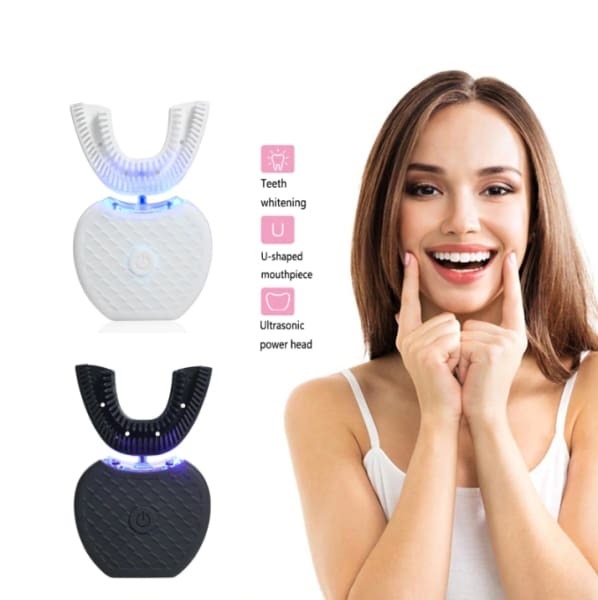 GermFree White Teeth: The ultrasound has been proven to eliminate all kinds of germs and blue light whitening technology gives you sparking white teeth. High Quality Waterproof Design:The U shape toothbrush head is made from food grade silicone, soft, non-toxic and no harmful substance. 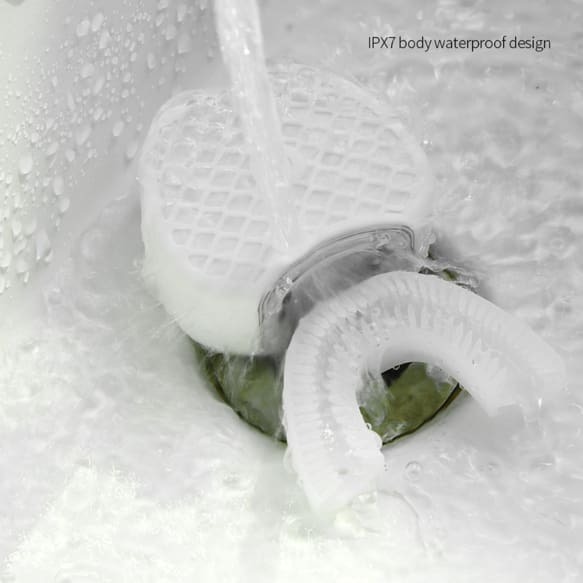 Waterproof design for using it at shower or bathroom with worry-free. USB Charging & Long Battery Life: Convenient USB charging base with quick-charge feature that gives you one week use from less then 90 minutes charge.